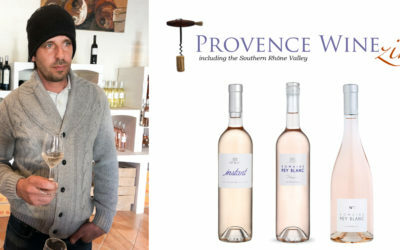 All the latest news from Pey Blanc Aix-en-Provence, including the latest in food and drink, Aix culture, events and more. 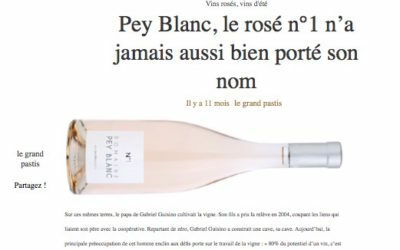 Pey Blanc, the favorite rosé of Aix! 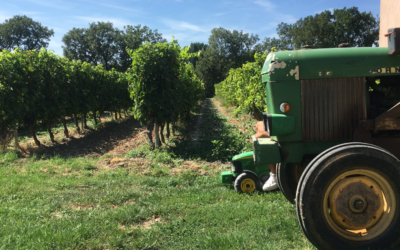 In Aix-en-Provence, the 2018 harvest begins! 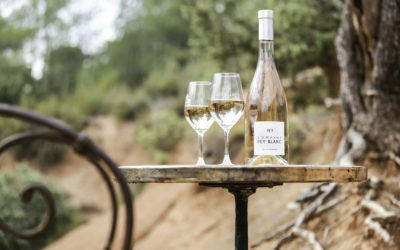 Offbeat video on the grape harvest at Domaine Pey Blanc in Aix-en-Provence. 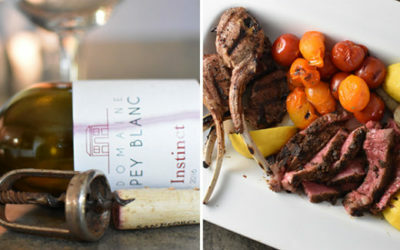 Great Pey Blanc presentation with Provence Wine Imports @ French Cultural Center, Boston, MA. 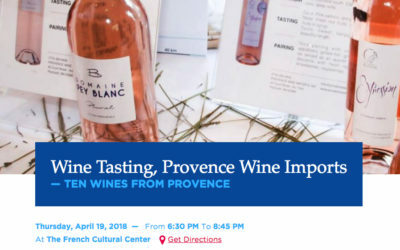 Great Pey Blanc tasting with Provence Wine Imports Boston, MA, French Cultural Center, Thursday, April 19, 2018 From 6:30 PM To 8:45 PM More information: Provence Wine Tasting Boston, MA. 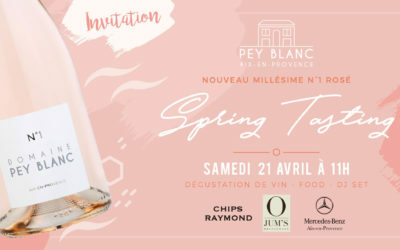 PEY BLANC SPRING TASTING 2018 ! 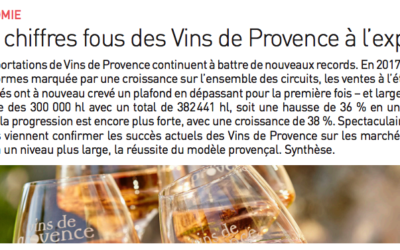 Crazy numbers for Provence wines on Export markets!